In eating low carb, breakfast can be a bit of a challenge. Besides eggs and your typical breakfast meats (bacon, sausage, scrapple, etc. ), most of breakfast is a bit of a carbfest. Pancakes, Waffles, croissants, muffins, pastries, doughnuts. Oh my!! So, when you are stuck with eggs every day and rotating the breakfast meats and adding berries, eventually you come to a point where enough is enough. Enter the frittata. The frittata is supposed to be a fried egg, which part of this recipe is. With the advent of broiling ovens, the cooking style for this dish has changed from completely fried, to a hybrid of fried and broiled. While this may not be as authentic as a true frittata, it does make the dish easier to make without compromising its integrity. Frittata has its origins in Italian cuisine and was considered a great way to use up leftovers, especially vegetables. In the United States, it appears more as a brunch dish and the ingredients used vary wildly from only vegetables to a meat extravaganza. In my house, we have used leftover taco meat and cheese to create a Mexican inspired frittata. 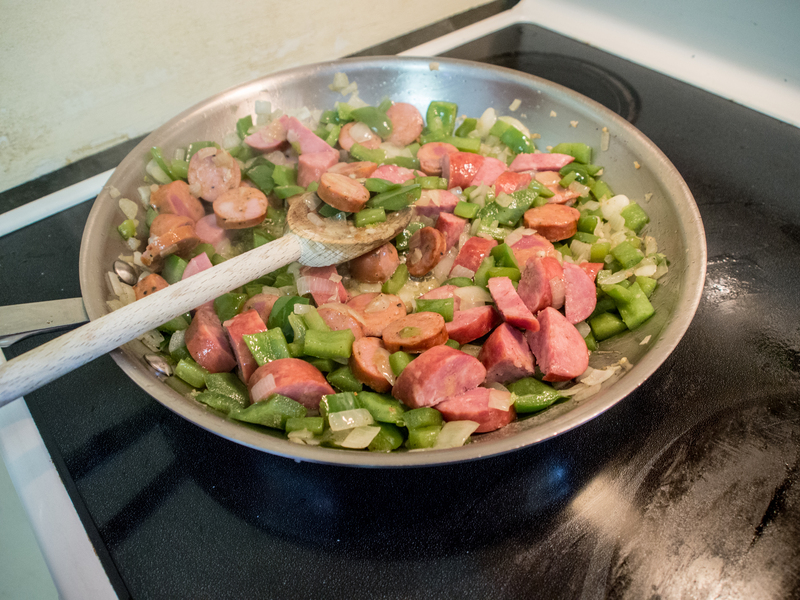 For this recipe, we use gumbo-inspired ingredients, onions, peppers, andouille sausage and garlic. You can use anything you have on hand, really. 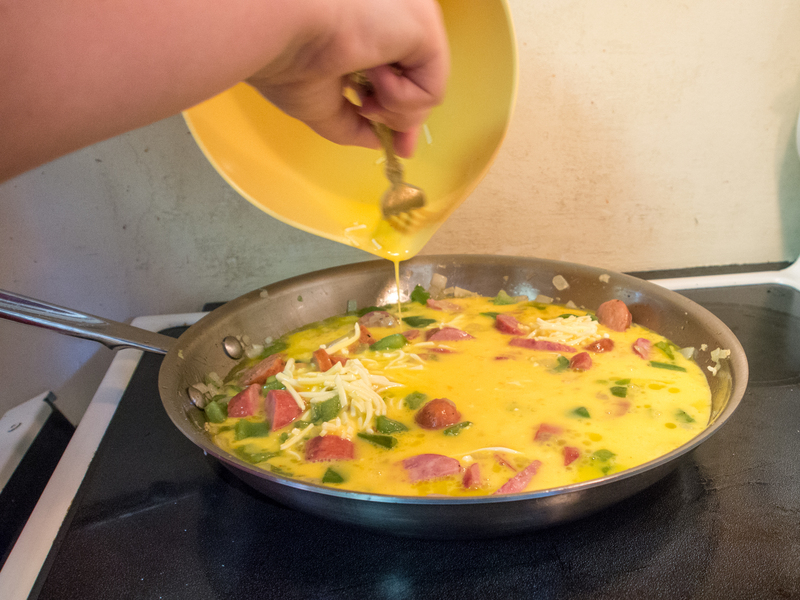 The general plan of a frittata starts with a well oiled, oven safe sauté or fry pan that can handle the bulk of the ingredients. You need a pan that can contain not only the eggs, but everything you want the eggs to contain. I use my All-Clad d5 12 inch fry pan. I buy All-Clad because they are still made here in America (except the lids) and are made with Stainless Steel. I bought the cookware on sale (it was a open box set) at Williams Sonoma and have never looked back. I can assure you, no business has given me any products to try or endorse. I bought it and love it. There’s no warping, it’s not thin in spots and it looks beautiful. Plus, it’s made in Pennsylvania. I am more than happy to support products from countries that oversee (to some extent) the manufacturing process and require a decent wage to be paid to its workers. Not all of the All-Clad line is made in the USA, so you have to look (like if you see a certain BAM! chef on the box, just walk away). There’s a reason it’s cheaper. Anyway, I mention this because not all cookware is meant to be put in the oven under the broiler. Usually the darker and non-stick pans advise against it. 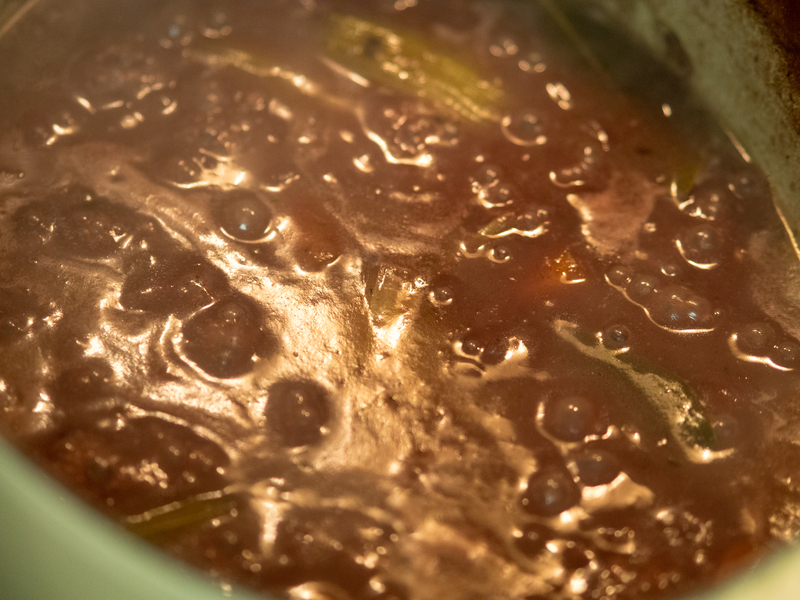 So you have a well oiled pan, heat the oil and make sure it coats the entire interior of the pan. 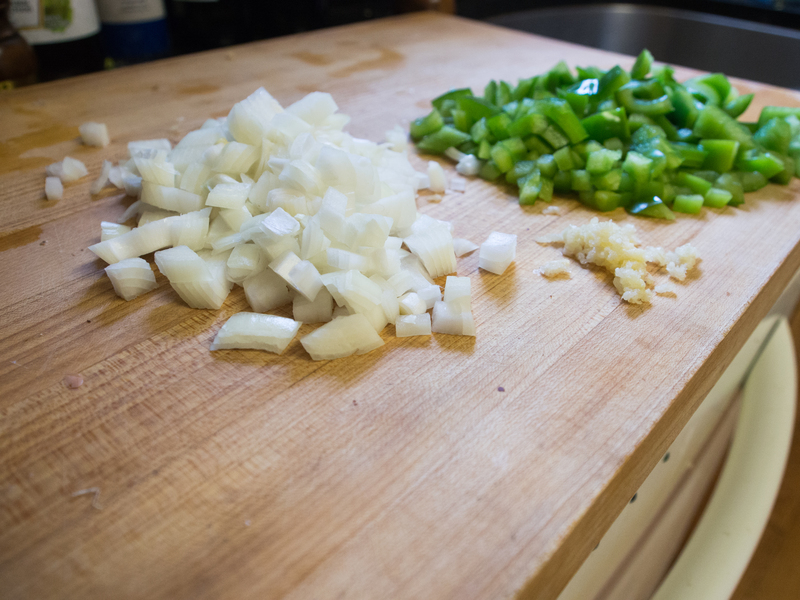 Add your additions to the frittata and sauté until you achieve the texture you want in the additions (peppers and onions soft, for example). Add beaten eggs to the pan. 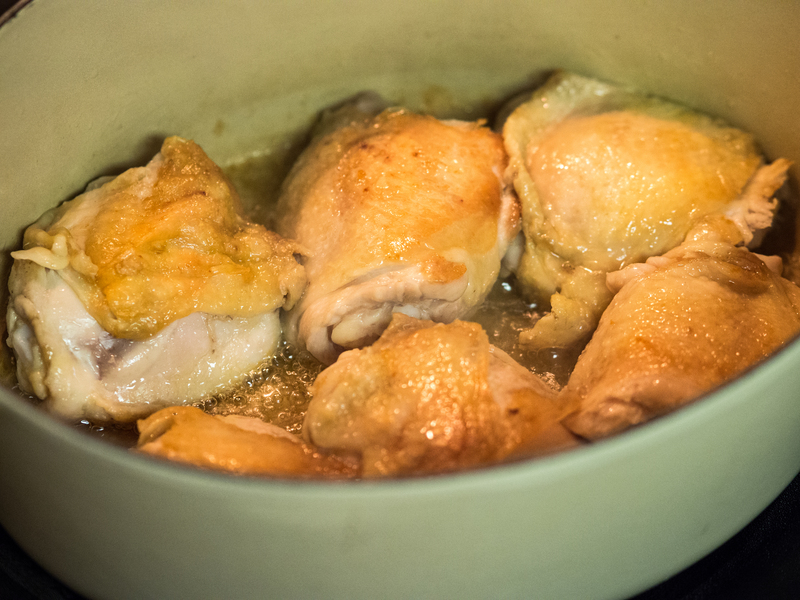 Cook on the stove top until the bottom and sides are set and the top is less runny. At this point, the pan should be placed in the pre-heated oven set on high broil. You need to keep an eye on it. Broil the frittata until puffed in the center and there’s no jiggle when the pan is moved. In a nutshell, that’s a frittata. It’s not hard, it’s all in one pan and easy to clean up. It’s also an excellent way to repurpose leftovers into a sum greater than the parts. In this frittata, my son wanted to try out his knife skills. So, we have a very rustic version of the dish. You can take the time to fine dice everything for a more refined appearance. Frittatas are a nice way to stem the madness you may experience at breakfast if you are following a lower carb way of living. 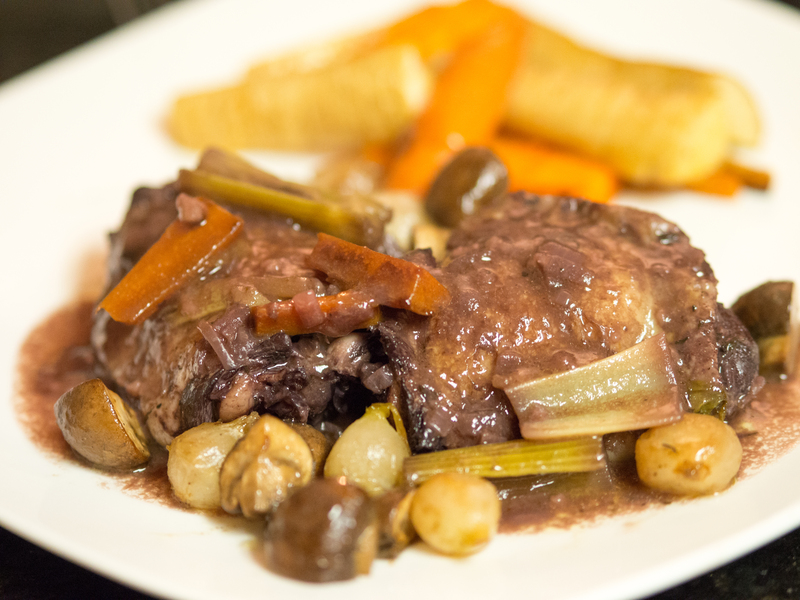 In my house, they are also a very quick weekday meal using leftovers in a brand new and not so humdrum way. Place oil in 12 inch fry pan over medium heat, swirl to coat the entire pan. 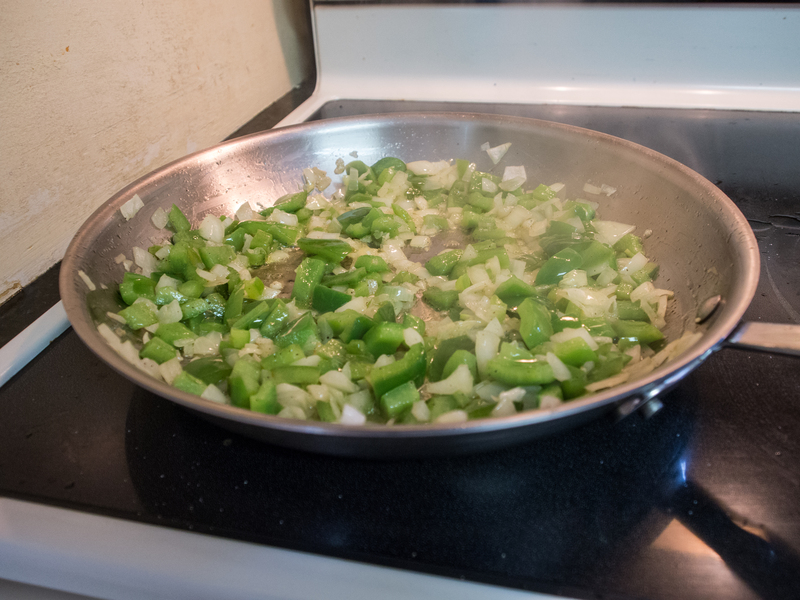 When oil is heated, add onions and peppers, season with 1/2 teaspoon each of salt and pepper, and cook until soft. Add the garlic and sauté further until fragrant. 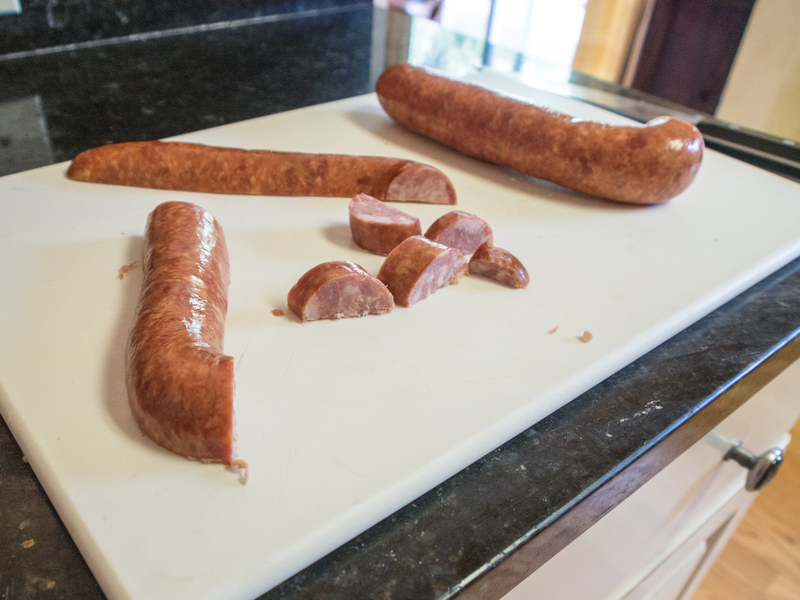 Add sausages and sauté until warmed through. Preheat broiler set on high. Add to the beaten eggs the remaining salt and pepper. Stir in the cheese, until combined. 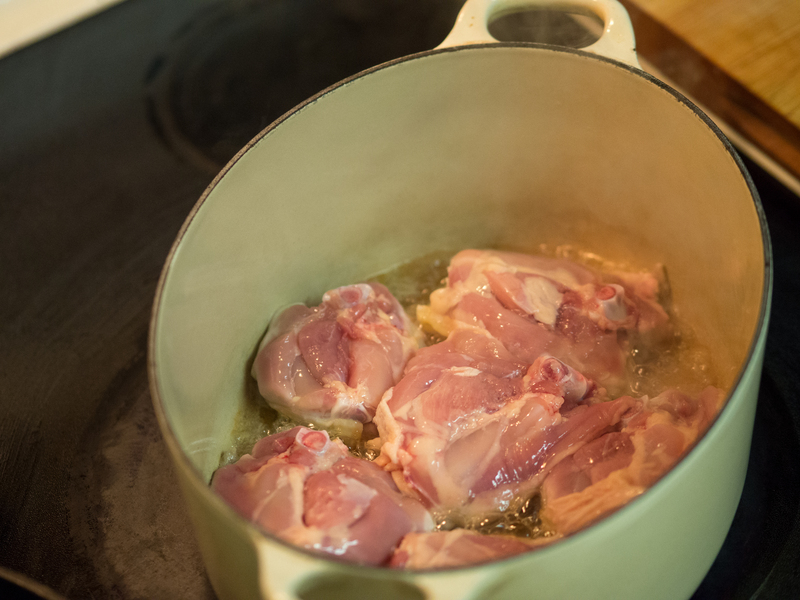 Distribute the pan ingredients evenly throughout the pan with a wooden spoon. Add the egg and cheese mixture. Cook on the stovetop over until the sides and bottom are set and the eggs are runny on top. This step is hard to describe, but you want a layer of runny egg mixture, but it shouldn’t be very deep. At this point, you want to place the pan in the oven under the broiler. Leaving the door slightly ajar, broil until the egg is puffed in the center and the mixture does not jiggle when you shake the pan. 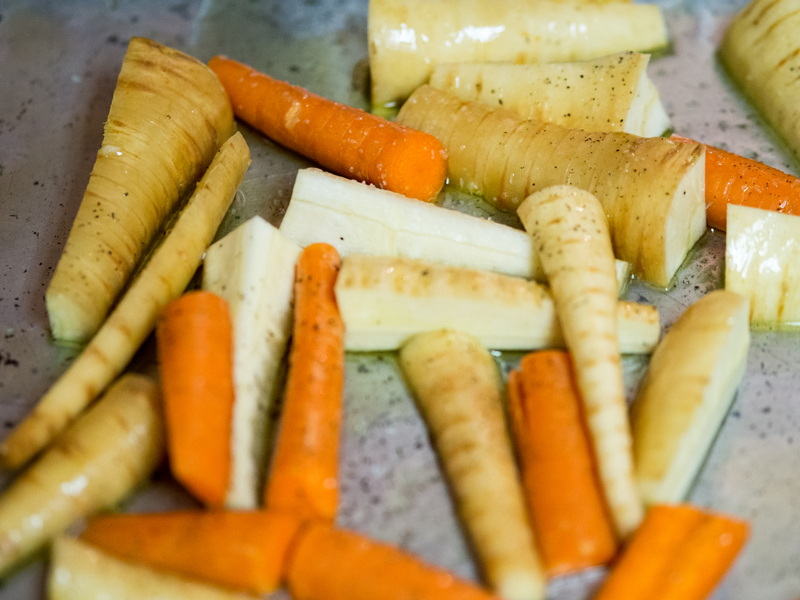 Remove from oven, cut in wedges and serve. Note of caution: when removing the pan from the oven, keep in mind the ENTIRE pan was in the oven. So, a few seconds later you will see the pan on the stove and may not think too much about it if you have to hold it to cut the frittata to serve. As the handle is now extremely hot, you will get burned. I avoid this by draping a hot pad or oven mitt over the handle to remind myself that while my handles aren’t normally hot, in this case it is scorching. 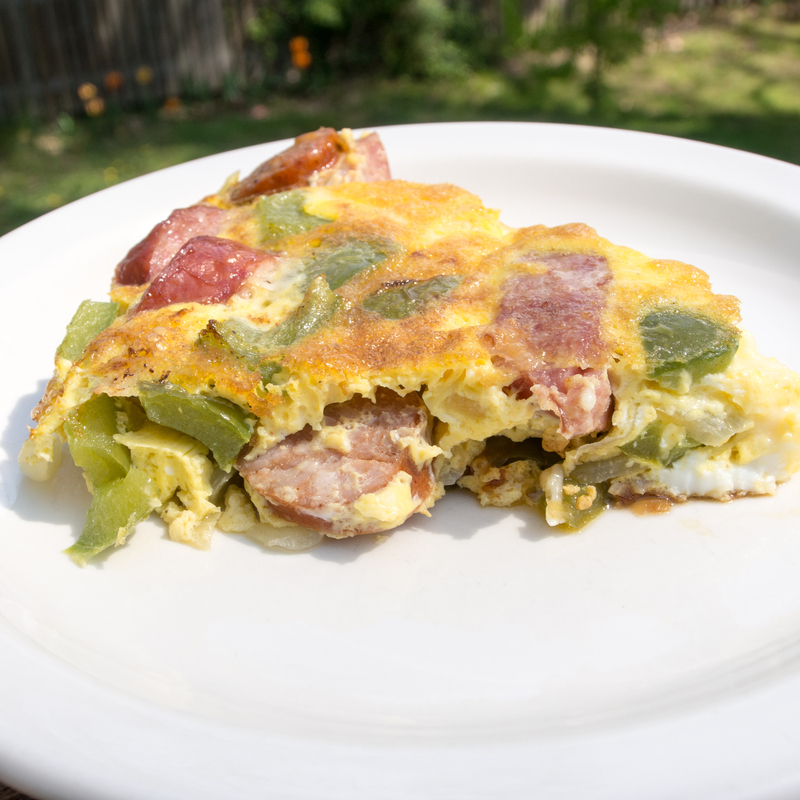 This entry was posted in Breakfast, Breakfast/Brunch and tagged All-Clad, andouille, cheese, eggs, Frittata, onions, peppers, sausage, Williams Sonoma on April 28, 2013 by dawn of food.